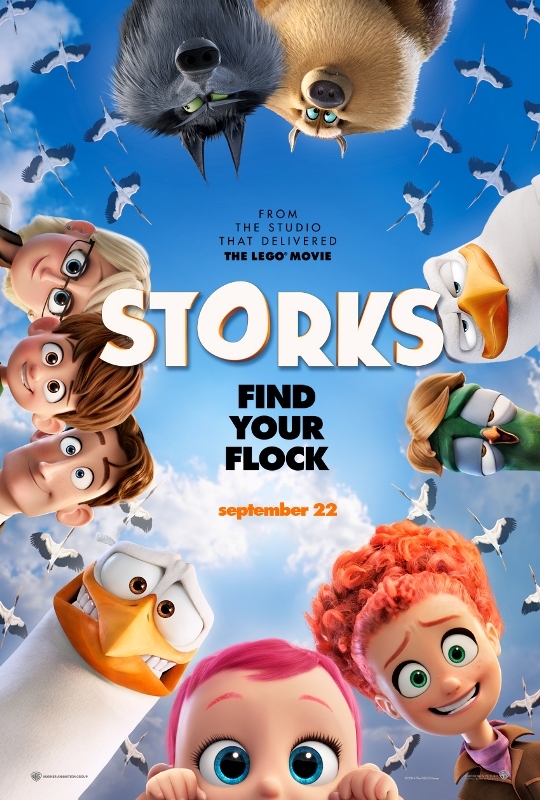 The new trailer of Warner Bros. Pictures’ new animated feature Storks has just been unveiled – together with a brand new poster — which may we viewed at https://youtu.be/1r1gJ_LUKOM. Storks stars Andy Samberg (“Cloudy with a Chance of Meatballs,” “Hotel Transylvania”), Kelsey Grammer (“Toy Story 2,” “The Simpsons”), Katie Crown (Cartoon Network’s “Clarence”), Keegan-Michael Key (“The Angry Birds Movie,” “Keanu,” “Key & Peele”), Jordan Peele (“Keanu,” “Key & Peele”), Jennifer Aniston (“We’re the Millers,” “Horrible Bosses”),Ty Burrell (“Modern Family”), and Danny Trejo (“The Book of Life”). “Storks” is produced by Brad Lewis (“Ratatouille”) and Nicholas Stoller. The executive producers are Phil Lord, Christopher Miller, Glenn Ficarra, John Requa and Jared Stern. The music is composed by Jeff Danna and Mychael Danna (“The Good Dinosaur”). Opening across the Philippines in Sept. 22, Storks is distributed by Warner Bros. Pictures, a Warner Bros. Entertainment Company.